Facilitator mentoring is ideal for people who have been thinking about becoming a professional facilitator or more skilled at the process of facilitation. 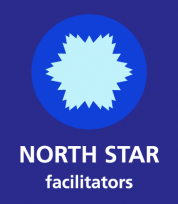 At North Star Facilitators, we believe it is important to work with someone who has a wide range of experience in the field and has a respectful, interactive coaching style that honors all the skills you are bringing to the table. We have a program for you that will help you assess what your current facilitator competencies are and help you take the journey to becoming more confident, present and skilled at working with groups. Leaders who want to take a more facilitative approach with their peers and direct reports. This mentoring package takes place over six to twelve months and is customized to meet your needs as you move forward in the field of professional facilitation. Your mentor, Barbara Mackay, has been a professional facilitator for over 25 years and is a Certified Professional Facilitator (CPF©) with the International Association of Facilitators (IAF). From 2004 to 2007, Barbara was in charge of the worldwide certification program for the IAF. In this role, she was able to strategize ways to make facilitation a more accessible skill to people all over the world. She continues to certify facilitators and since 2002, has participated in assessing the competencies of hundreds of professional facilitator candidates from six different continents. She is also a certified Technology of Participation (ToP®) facilitator and mentor-trainer with the Institute of Cultural Affairs in the USA and Canada for those interested in honing their skills in this highly participatory way of facilitating. 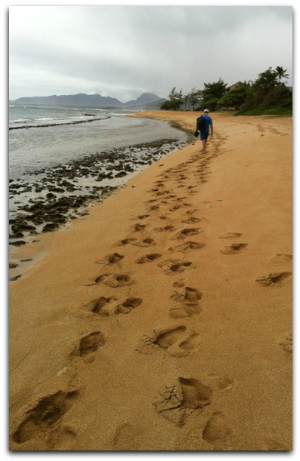 Barbara has mentored dozens of highly respected professionals to become better facilitators. She has also been certified in the OneSmartWorld system including smart meetings processes. These have proven to be highly effective in helping people design their meeting agendas and build “total intelligence” in organizations. Her current mentoring project is with a group of diverse individuals in the USA and Canadian West Coast. Facilitator Competency Assessment – At the beginning and end of the program we review your self assessment for the IAF facilitator certification competencies and help you set goals and plan for continued improvement in all areas where you would like to improve. Monthly Mentoring Calls – We talk on the phone, online or in person (Skype) to review your progress toward your stated goals. We also offer coaching to help you design particular events for your clients. Observation and Feedback – Barbara will observe one of your facilitated events (three – four hours) and provide affirming and helpful feedback on how you can continue to improve as a facilitator and/or prepare for IAF certification. Discounts on Products and Workshops – When you buy a mentoring package, you can purchase any of the Facilitator Tools at half price. You will also get a 20% discount on all our facilitator training workshops in our Academy with an opportunity to hone some aspects of your facilitation skills by assisting at the workshops. You can purchase single sessions of 1.25 hours for $225 USD or bundle 3 sessions for $550 USD. Let’s get a mentor and coaching session that’s right for you. We’re happy to talk with you to discuss your specific needs. Email us at bmackay@northstarfacilitators.com or call us at (503) 579-5708.